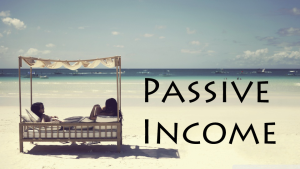 Summary: Passive income has become a popular market for those that want to earn money without putting forth much effort. Passive income can be defined as money that flows in on a regular basis without requiring a substantial amount of effort to be put in. Now, the idea behind this is to make an initial investment and allow everything to fall into place. Afterwards, there’s minimal maintenance involved and one reaps the benefits. That being said, not all passive income opportunities are beneficial for you. For investors, you’ll want to build a solid portfolio, which means understanding which passive investing strategies are worth pursuing. The real estate market, despite its ups and downs, remains to be a preferred choice for investors that want long-term returns. Investing in rental property can provide a solid source of regular income that comes in on a monthly basis. On the other hand, the investor has to put a 20% down payment to purchase the property, but that may not be an option for those that aren’t saving regularly. Once the tenants are installed, there’s little to do but wait for the rent checks to start flowing in. The P2P industry is barely a decade old, and the market has grown substantially within that time frame. Investors that want to help other while adding passive income to their portfolio tend to look to P2P lending for a golden opportunity. There are fewer barriers to enter this market as opposed to other types of investments. Some P2P platforms will allow investors to fund loans with as little as $25. The road to success with P2P however, lies with diversification. Remember, you’re funding individuals that you don’t know. You’ll have to rely on their credit score and other information that’s made available to you. If they end up defaulting on their loan, your initial investment will be lost. This is why investors will strategize and invest in multiple loans to minimize their losses. Bio: An entrepreneur by trade, Omar Amanat is a successful investor that has seen his fair share in the technology and finance industry. This entry was posted in Finance, Investment.